Meet the horses currently in training at Tyre Hill Racing Stables. This compact horse joined us in February 2017 and has always shown a good attitude to his work. 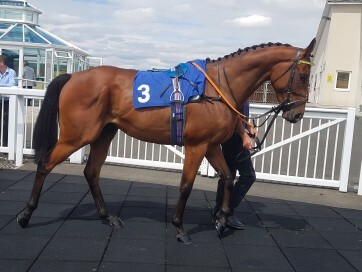 This son of Swiss Spirit made his racecourse debut at Windsor in June 2017 finishing 6th and ran with plenty of promise on several occasions before getting his head in front for the first time to land the Bet toteexacta At betfred.com Nursery Handicap at Chelmsford in December 2017. Swissal was in action throughout last summer winning the mintbet.com World Cup Red Card Refund Handicap in June 2018 as well as being placed numerous times. Veiled Secret arrived with us in November 2017 having previously been in training on the flat with Sir Mark Prescott. A previous winner over 1m6f, this son of Teofilo is a fine upstanding horse who made his hurdling debut at Doncaster in February 2018 finishing a very pleasing 5th in a field of 14 runners & was placed in the first four on a further two occasions at Ludlow last season. Veiled Secret enjoyed a summer break before making a return to the track in October 2018. Following a couple of disappointing efforts, he has since shown great improvement when just missing out on a victory at Hereford in March 2019 when finishing a 1/2 length second in the Happy Retirement Noel Fehily Handicap Hurdle & quickly following up next time out, just nine days later with a first victory over hurdles landing the Racing To School Handicap Hurdle at Taunton under jockey David Bass. Shaping with plenty of promise this season, we now look forward to seeing him continue to run throughout the year & hope he can bring his owners Clan Mcneil lots more success. 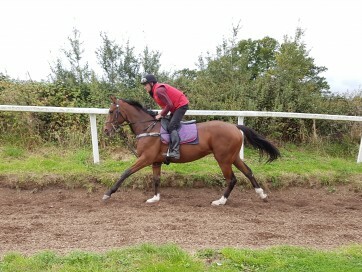 Zee Man is a 2014 gelding by Soldier of Fortune who first arrived with us in the latter part of 2015. This son of Soldier Of Fortune made his racecourse debut at Hereford in December 2017 where despite running a little greenly, finished a very pleasing 3rd under Trevor Whelan in a NH flat race & was 5th on his next appearance at Kempton, in very competitive company. Zee Man went onto finish 2nd in the Smarkets Maiden Open National Hunt Flat Race at Wincanton in March 2018 before his final run of the 2017/18 season came at Warwick where he finished 14th. Back in full training this season, Zee Man pulled up at Chepstow on his seasonal reappearance in November but put up a much more pleasing performance next time out finishing 5th at Taunton in December 2018 on just his 2nd start over hurdles. Now with a few further runs under his belt & invaluable experience, we look forward to watching him progress throughout the season.